We arrived at the store the next day and I was blown away to see everyone creating a new appliqué block. 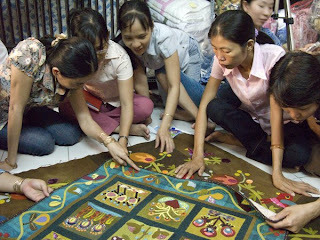 They were hand cutting out shapes from my other quilts and making a new piece to take home to personalize. It really warmed my heart to see them so enthusiastic and not holding back. 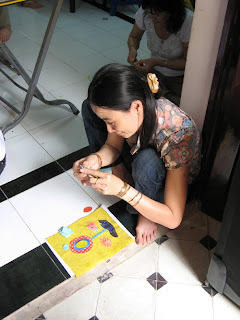 Thanh was amazed too as she had felt they would need a lot more guidance with the project. I believe the timing was right to introduce them to new techniques and for them to start finding their own creativity. Today’s goal was to teach embellishments. We had brought many beads, threads and buttons with us. They loved looking through the bowls and making their own choices. Many thanks to Susan Day from Michael Miller fabrics, Sheila from Renaissance Ribbons, Rings and Things and my students at home who donated generously to the cause. We were able to leave many supplies with them for future projects. 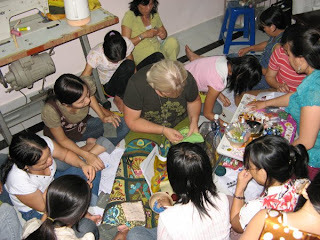 I spent about 4 hours on the floor teaching 10 different embroidery stitches along with beading and the use of buttons. It was fascinating to see how easy it was to communicate with hand movements and the use of our eyes. They were just so eager to learn and use all the stitches on their blocks. At the end of the day we pinned up every ones block. Each person shared what they had learned along with why they had chosen certain colors and embellishments. I was amazed at how much knowledge they had translated into their work. 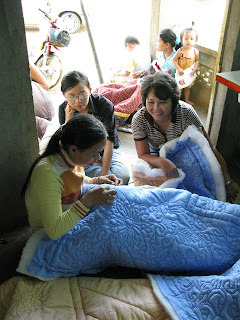 Thanh had suggested that they make a quilt out of all the blocks. Well no quilt is complete with out a label! 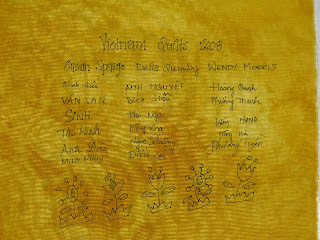 So I quickly had everyone sign a piece of fabric for the back of the quilt. I can’t wait to see the finished quilt. This experience was a wonderful blessing for me. I could not have thought of a better place to share what I am so passionate about. Many thanks to Wendy and Della for there support and encouragement and to Thanh and the quilters for making this trip so special. We hope to return soon to teach hand dyeing. 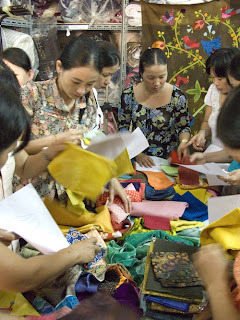 On the first day of our workshop Wendy, Della and I were greeted at the shop by 20 eager students, all the group leaders with a quilter from each group. They had not done much hand applique and no embellishments. I had two interpreters present to help with the introduction of the class and what I hoped to achieve in the two days. 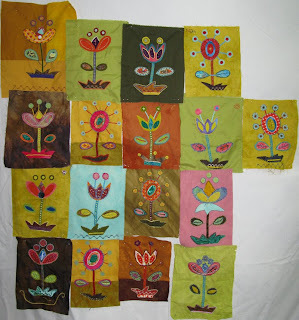 I had taken some of my quilts to share and was amazed at how interested they were in the embellishments and finished product. 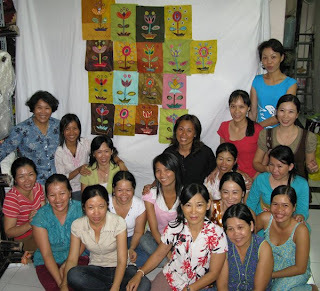 Thanh explained to me that they had never seen finished quilts other than what they had done themselves so it was good for them to see what they could create. We had taken all the supplies for the workshop. Wendy had hand dyed cotton, wool and velvet along with fun prints, batiks, ribbons, beads and buttons which were donated by some of my students and suppliers. I gave them a choice f three fun folk-art flower patterns and allowed them to choose what ever they wanted for backgrounds and applique. We talked about color selections and Wendy and Della helped them get good contrast in their pieces. I demonstrated freezer paper templates and spent the day helping with needle turn and wool applique. I was amazed at how eager they were to learn and how much fun they seemed to be having. 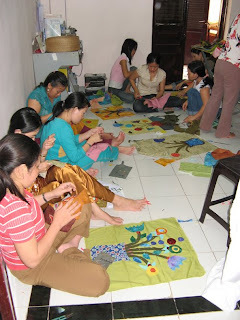 They were all very good at handwork as they had done so much hand quilting so they took to needle turn very easily. It was good to see them all working independently yet enjoying this creative time together. I was amazed at the end of day one how much they had accomplished and I was very eager to return to see what day two would bring. Our taxi driver arrived very early to drive us to the village of Duch Linh where the Organization Vietnam Plus and Vietnam Quilts is based. 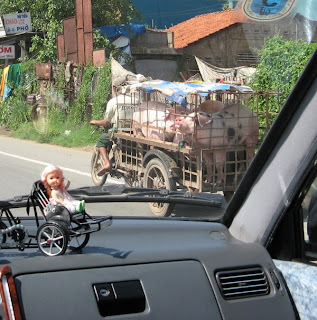 Wendy and I were going to spend the day visiting area workshops that help the people of rural Vietnam. What an eye opener. It was a few hours drive which was quiet trying at times. Our first visit was to a small home industry that processed cashew nuts. I was amazed to see that everything was done by hand from picking to cracking open the shells to get the nuts out. 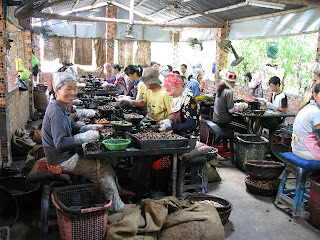 These wonderful people do tons of cashews each year. I have a much better appreciation for these great nuts! who has a passion for quilts. It is an income generation project that offers income and employment for rural women which enable these women to remain in their communities and care for their children and families. 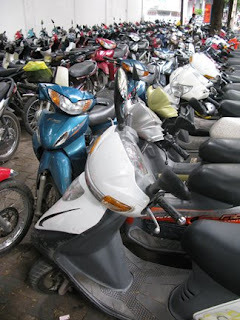 They now have two retail stores one in district 1, Ho Chi Minh City and on in Hanoi. It enables them to supply scholarships and books for children to go to school , health education for women, toilets in a number of poor people’s houses as well as impregnation of mosquito nets with insecticide. They are guaranteed 20 days work a month which adds up to one complete queen size quilt and $40.00/ month. 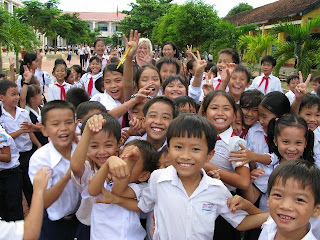 Our last stop was at a local school where Vietnam plus has helped with a weekly program of teeth cleaning. We watched as the whole school came outside and did there weekly routine of brushing and caring for there teeth. It was great to spend time with the kids who were so excited to meet us. I hope you will join me tomorrow as we meet the quilters in our workshop. 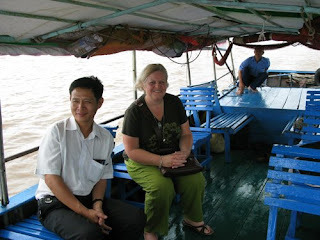 The second day Wendy and I took a trip to the Mekong Delta. We had a driver and lucky for us we had a guide who could speak good English. It was a wonderful drive south out of the city. We travelled through rural villages and came across many people on there way to the market. On our arrival at the Delta we were taken to our very colorful boat. 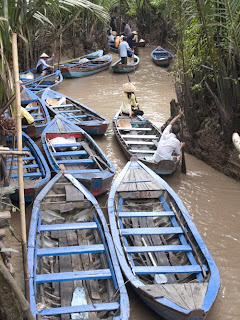 The unique Mekong Delta consists of 1,740 miles of canals and life on the water has not changed for centuries. 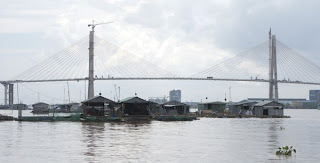 There are many floating markets along with homes were people live on the water. This area is full of coconut, mango, longan trees as well as rice paddies as the soil is very fertile due to the rich alluvial soil that flows into the distributaries from neighboring countries. We travelled the waters through many down pours and visited a coconut farm as well as many orchards. This is the first bridge that had just opened linking the biggest islands. Up to this point the only way around the delta was by boat. 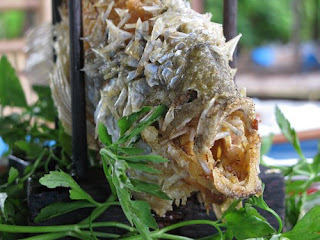 We were treated to an authentic lunch on a local island. This was the main course. It looked rather unfriendly but was delicious! At the end of the trip we took a small boat ride through the many very small rivers that are part of the water ways. It was wonderful to actually experience the way the local people live on the water. They are very resilient mainly farming to make a living. 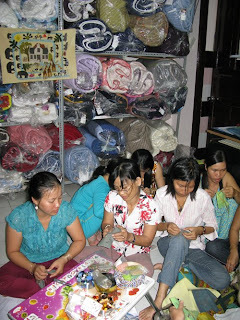 Tomorrow I will post about our trip to the village where our quilters live. This was an eye opening experience and really touched my heart. We are home from our travels. I feel very blessed to have been a part of this trip. As I have so many exciting experiences to share with all of you I have decided to post our trip over many days. So please visit daily for the next update. 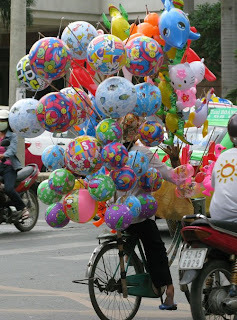 Wendy and I met Della from DellaQ, in Seattle and flew through Taipei to Ho Chi Minh City, Vietnam. It was an over night flight and 13 hours ahead so we lost nearly half a day. On arrival Wendy and I were blown over by all the traffic which included millions of motorbikes and bicycles carrying many outrages wares. The noise level was also something new. Everyone honking there horns just to let you know they were there, not out of anger or frustration. You would see anything from 4 people on a bike to a complete store. I guess when that is your only mode of transportation you pack it like we would our SUV’s! 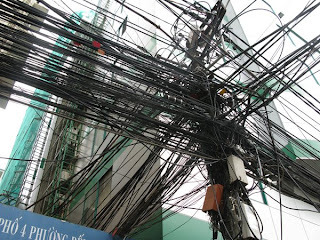 The other amazing site was all the power lines. Throughout our visit I was reminded many times how we take many things for granted. The first night Della took us to the local outdoor market for dinner. It was great we shared a few local dishes of food. We then retired to our hotel for the evening. It was good to get our heads down.